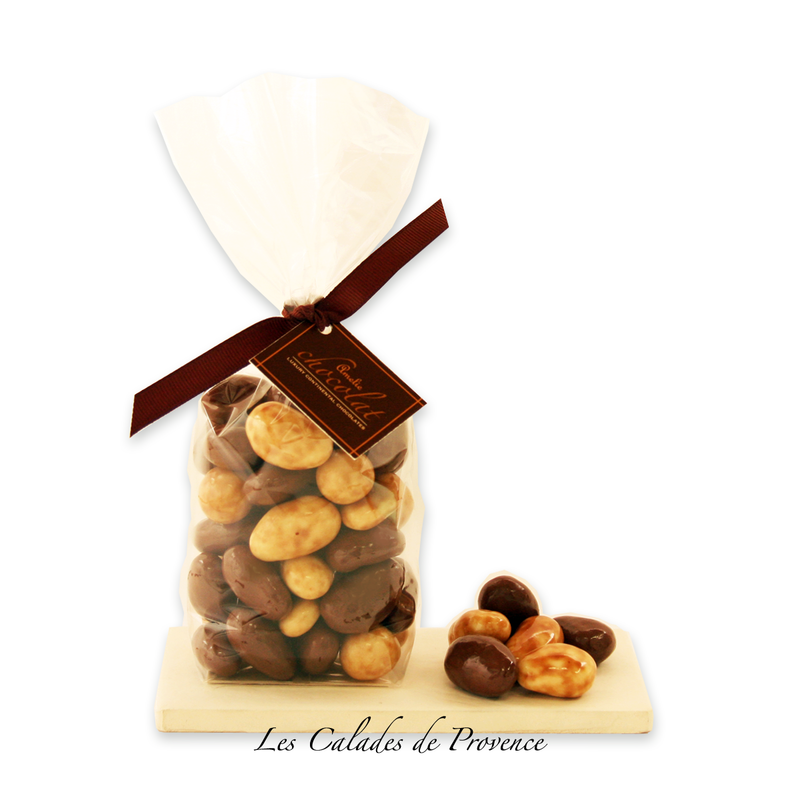 Click the button below to add the Les Calades de Provence to your wish list. Transport yourself to the sun-drenched Mediterranean region of Provence with these exquisite smooth Calades. A delicious mix of plump roasted almonds & hazelnuts, double coated with layers of nougat cream from Montelimar and melt-in-the-mouth milk & pebble dashed white chocolate. A delectable treat that makes a wonderful gift, or a simple indulgence with after dinner coffees.